Anabelle by Marcia Sherrill is a lifestyle brand defined by classic American spirit with an eclectic sensibility and attainable price point. It embodies the personal style and spirit of its founder and designer, Marcia Sherrill. Recognizing a void in the market for a sophisticated aesthetic at yummy price Marcia, whose is know for her 24 years designing exotic skin accessories where bags fetch up to $100,000.00 wanted to create affordable and stylish bags and accessories for women of all ages. OK mostly for her and Diane aka Deenie. Marcia is greatly influenced by the unique personal style of her daughter, Anabelle Kleinberg and Anabelle's posse of sophisticated Manhattan teens. Well, Anabelle is a New Yorker buy birth but an Alabamian at heart just like her Momma. Marcia and the women around her Diane, Larissa, Melissa and especially co-designer Patricia have too much darn fun designing these bags and they travel the world for inspiration. A know Author and TV personality, Marcia is a painter and writer and an all-around design maven. Graphic prints, bold colors and unique details are all signatures of the brand. An internationally acclaimed fashion designer, Marcia Sherrill's accessories have been sold world-wide in high-end department and specialty stores, including Bergdorf Goodman, Neiman Marcus and in London's Harvey Nichols and Japan's Takashimaya. With handbags in her signature exotic skin, American Alligator, fetching up to $25,000, Sherrill has work on display in The Metropolitan Museum of Art's Costume Institute's permanent collection. For her previous accessories line KLEINBERG SHERRILL, she designed two free-standing stores in Atlanta and New York, both of which have been featured in numerous magazines. Sherrill was also on the prestigious Editorial Board of Retail Store Image Magazine. Her in-store boutiques at Harvey Nichols in London and Japan's Takashimaya led her to develop in-store concept boutiques and point-of-sale displays for Neiman Marcus, I Magnin and Saks Fifth Avenue. 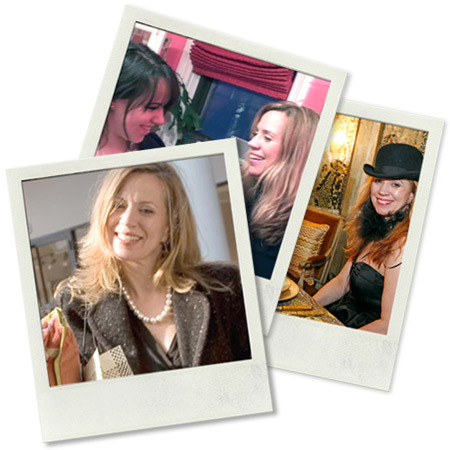 Sherrill is also a published author, magazine columnist, and acclaimed interior designer. She has now created two new accessories lines, the high end SHERRILL LTD and the more affordable Anabelle by Marcia Sherrill. A native of New Orleans, Louisiana, Diane Jenkins has been in the textile-garment industry for over two decades. Originally a sales representative for domestic textile mills, Jenkins owned one of the premier Italian textile agencies for over 10 years. Selling to such illustrious labels as Michael Kors, Nanette Lapore and Jill Stuart, she expanded her offerings to include textiles from emerging markets such as Turkey, China and Korea. Her current textile company, Comir USA, is a style leader recognized by such firms as Calvin Klein, Rebecca Taylor and Charles Nolan. A sustaining member of the New York Junior League and member of The West Side Tennis Club, Jenkins has long been involved in philanthropic activities, most recently being recognized by the Lighthouse for the Blind at their annual Posh Party. Larissa Weinstein is sixteen years old and lives in Coral Gables, Florida, where she attends the International Baccalaureate Program at Coral Gables Senior High. She has a diverse array of work and internship experience, from political campaigns to advertising agencies. Already fluent in Spanish, she is in her second year of learning Mandarin Chinese. Weinstein joined the company in November of 2009 and has worked tirelessly ever since on all aspects of the business. 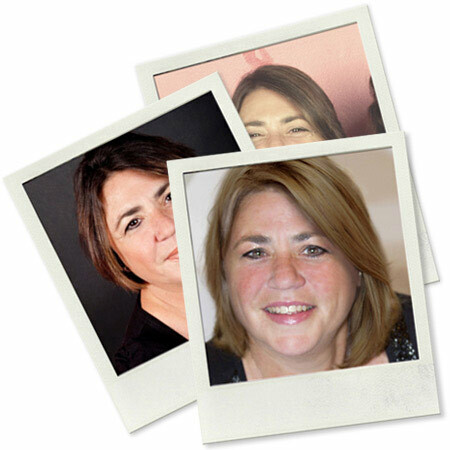 She quickly learned web design in order to work on the website, and also edited all website content. She began her blog, The Pineapple Slips, as a way to connect with customers. Handling some of the press is also among her many jobs, and she will be the Executive Director of the company's philanthropic initiative for breast cancer, targeted to be launched in the fall of 2010. 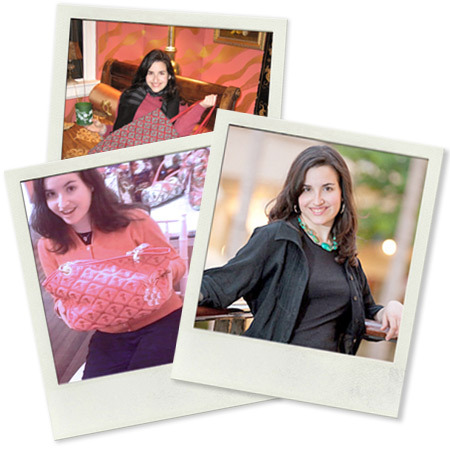 Having been with Anabelle By Marcia Sherrill, Melissa started in design working on handbag shapes and print design. She has since become the liason on Public Relations and Marketing. 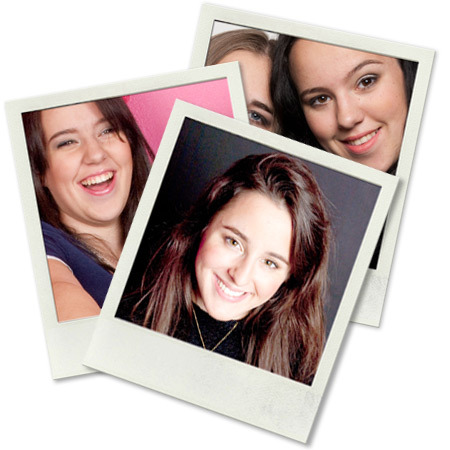 Melissa is originally from New York and attended Marymount. After College she joined the company and now oversees all video shoots, print campaigns and continues to keep her hands on the design department. Anabelle by Marcia Sherrill accessories are created to appeal to everyone from teens to business women looking for a second bag. We design accessories that can take our customers everywhere from the beach to work to travel. The entire collection is based on our Signature Pineapple, which is a Southern Symbol of Hospitality, and all of our advertising repeats our message, which is WELCOME TO OUR WORLD.